Wallpapers have been around for longer than we care to imagine. Its been a go to technique to add visual interest and texture to spaces, however until recently it fell out of fashion. Many of us remember our parents changing the wallpaper often. Older homes have layers and layers of different patterns and colours that were once popular. While they can be a chore, and of course are no where near as easy as painting, its kind of easy to fall in love with again. Wallpaper is a commitment, you are gluing something onto your wall. However the effects can be a great injection of fun into a space. For a child’s room or playroom, theres nothing more suitable than fun and imagination. We break down some favourite choices and techniques you could try to give your kid a room of their dreams. This Cole & Son print is a good pick for someone who is a bit more timid about loud patterns and images. While there is visual interest with the safari animals, the subdued colours makes it more subtle. The result is a calming and rather cute finish that is perfect for a preferred gender neutral space. 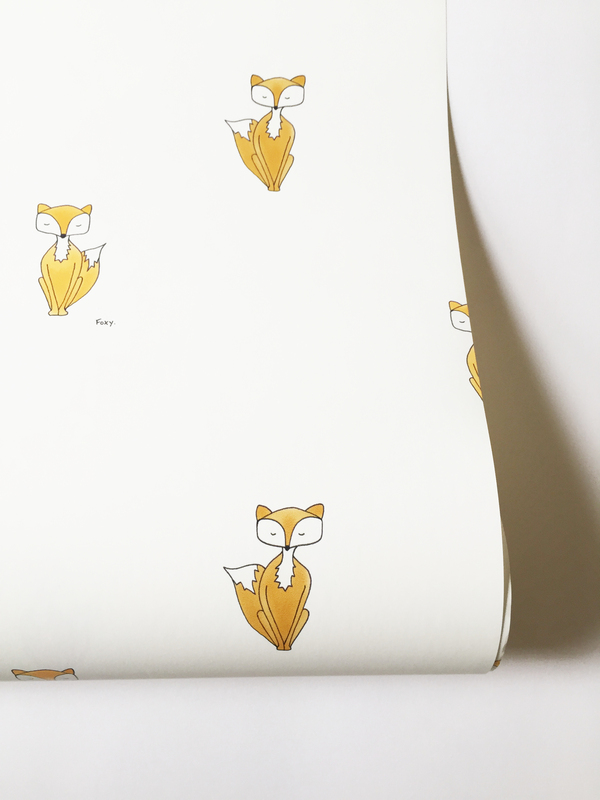 Our second animal themed choice is this very sweet little fox from Kate Zaremba Company. Once again, while still being playful, the mini fox’s are subtle and aren’t over powering to the space. 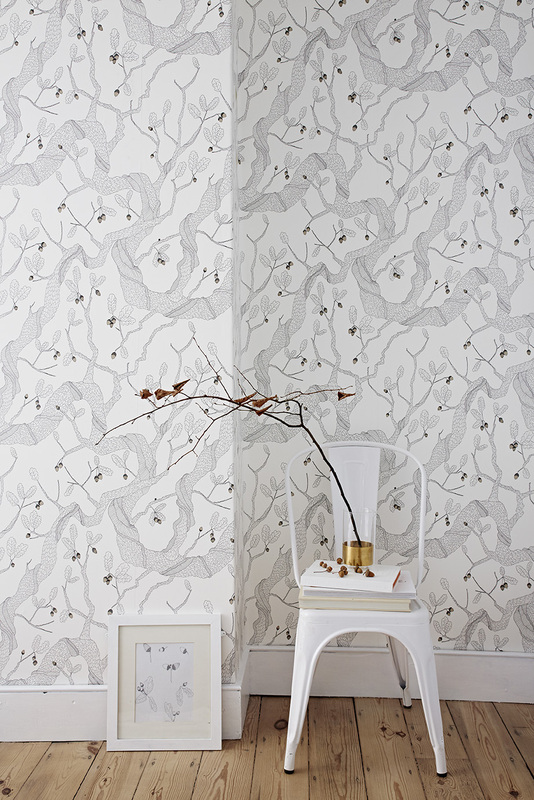 This is another perfect option for someone who’s hesitant to entering the world of wallpaper. This nature based beauty features a ancient oak tree with tangled vines and acorns. A simple white with coloured acorns allows for a very clean and adaptable palette. 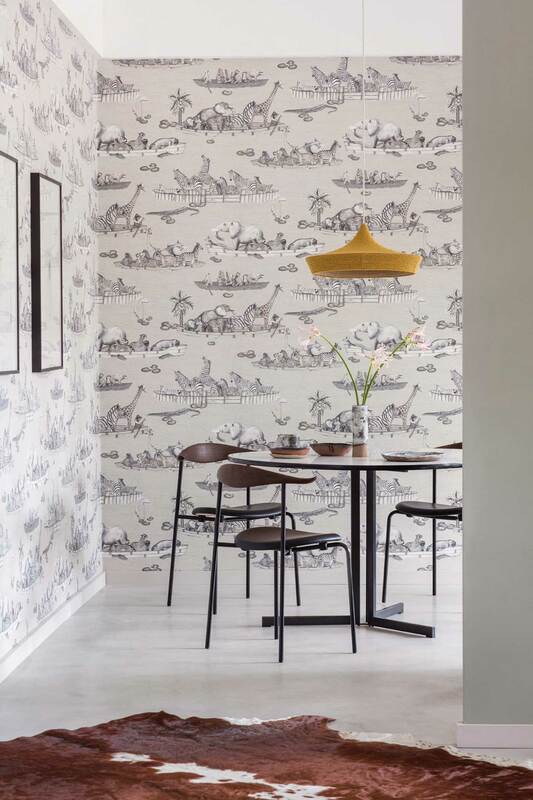 This wallpaper has been hand drawn by UK based artist/ designer Abigail Edwards. Its a clever way to incorporate bespoke art into your child’s space thats not aimed at the older demographic. 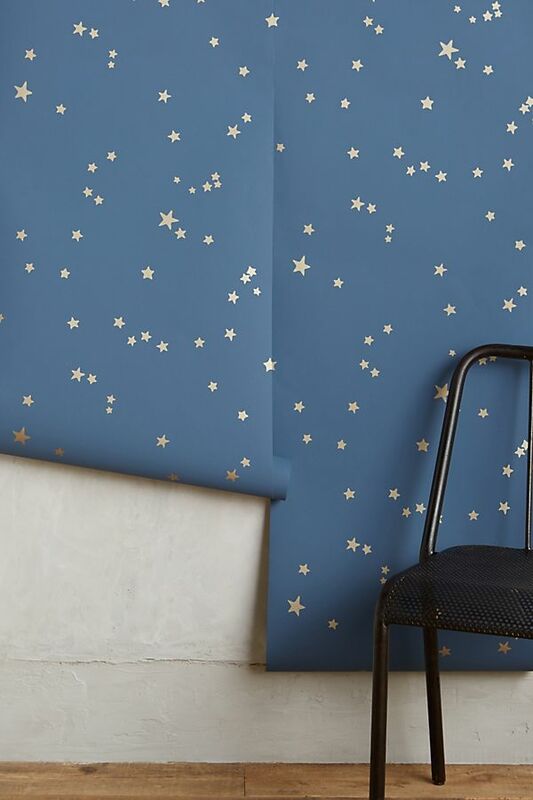 The ‘Wish Upon a Star’ paper from Anthropologie is a nice way to incorporate a more mystical night theme. The paper come in a number of colour waves, so perfect for girls, boy and everything in between. Our favourite it the deep blue gold stars. It a subtle nod to space while not being totally overwhelming. The colour is rich and comforting, which is peaceful for your kids to be in. 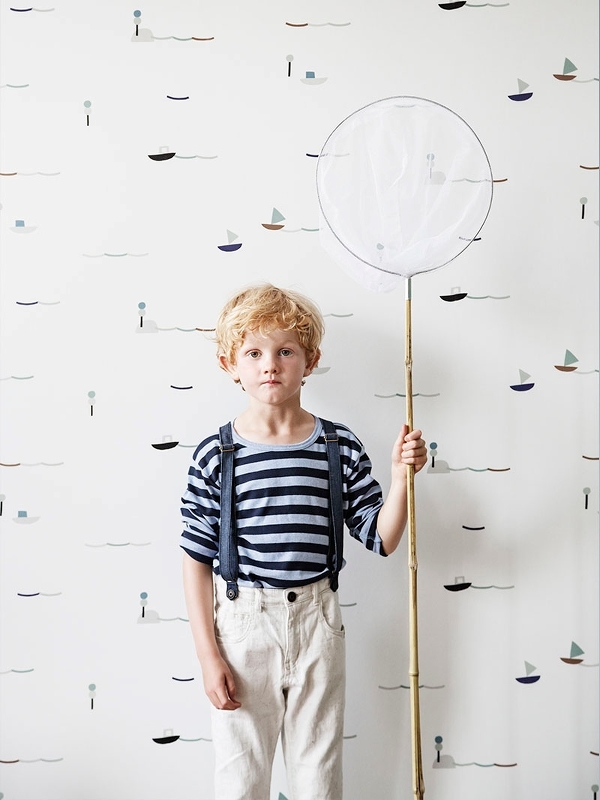 The final wallpaper we are loving at the moment is this sweet one from Ferm Living. Little dotted sailing boats, buoys and rollings waves are scattered across the non-woven print. It features a muted and subdued palette of browns, greys and blues, making it a nice additional layer to any little nautical enthusiasts room.